The strut comes in pre-cut and deburred lengths of 12″, 24″, 48″ and 120″, with either pre-punched slots and holes or blank/solid for applications requiring specific hole locations. A series of stainless steel, short-thread u-bolts firmly attaches pipe and conduit to the strut in a sanitary manner. The u-bolt sizing chart is located here, U-Bolt Selection Guide 2015, to help you choose exactly the right sizes you need for every sanitary mounting job. Stainless steel wall spacers and hanging rods keep the strut away from mounting surfaces for easy cleaning and simple inspections. Wall Mount Food Grade Strut is made of heavy-duty 12 gauge 304/316 Stainless Steel. The standard lengths available are 12″, 24″, 48″, 96″, and 120″. Wall Spacers must be used between each piece of Wall Mount Strut and walls. Use two spacers for 1′ to 5′ long strut pieces and three spacers for strut pieces over 5′. Trapeze Mount Food Grade Strut is made of heavy-duty 12 gauge 304/316 Stainless Steel. The standard lengths available are 12″, 24″, 48″, 96″, and 120″. The trapeze mount strut is designed to be hung by Food Grade Strut Hanger Rods. The Hanger Rods are 304/316 Stainless Steel Rods with a smooth shaft and internal 3/8″ threads. The rods are available in 1 or 2 meter lengths. Working tension for hanger rods is 1,150 lbs. Hanger Rods- The Hanger Rods are 304/316 Stainless Steel Rods with smooth shaft and internal 3/8″ threads. The rods are available in 1 or 2 meter lengths. Working tension for hanger rods is 1,150 lbs. 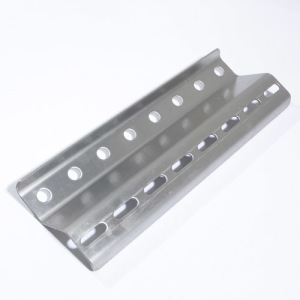 Spacers- Food Grade Strut Wall Spacers are made of 304/316 Stainless Steel and must be used between each piece of Wall Mount Strut and walls. 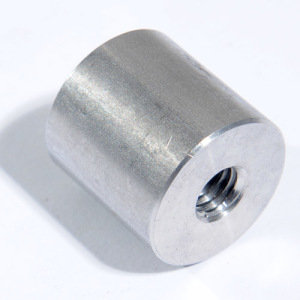 Use two spacers for 1′ to 5′ long strut pieces and three spacers for strut pieces over 5′. 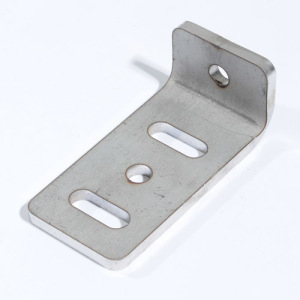 Brackets– Food Grade Strut offers several connection brackets for the Trapeze Mount Strut. Please refer to the design guide for the recommended bracket for your projects conditions. If you need assistance, please contact a Unistrut Midwest Sales rep for more information. Food Grade Strut Sold Here! Unistrut Midwest is a national distributor for Food Grade Strut Products. With stocked inventories in Ohio and California, Unistrut can ship nationwide in a few days. Contact us today for pricing on any Food Grade Strut item!